After 10-day consecutive chaos, the Egyptian people are yearning for normal life to be restored. Going to school, shopping and visiting friends safely have become their keenest desire. Gamal, a resident in Cairo, said "I support (Egyptian President) Hosni Mubarak, because he is the one who can calm down the unrest in Egypt." "Otherwise our country is heading to death," Gamal said as he was watching clashes between protestors and supporters of Mubarak in Tahrir square from TV live broadcasting. Tanks and armored cars are deployed in main streets in Cairo, as well as other major cities in Egypt. Most of the gas stations are closed, while drivers are lining up in long queues in rarely opened stations. Egypt has seen the largest mass protests in 30 years to challenge the rule of Hosni Mubarak. The 10-day protests, still with no sign of a quick end, have left more than 100 dead and several thousand injured. Trains stopped running. Banks, stock markets and most businesses were closed. Egyptian pounds reached the lowest rate in six years. Storage racks for bread, milk, edible oil and local fruits were almost empty in Cairo's supermarkets as people tried to replenish their stores for fear that the chaos could continue and prices could rise. 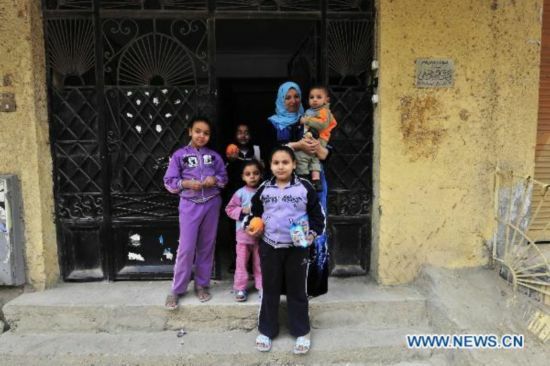 An Egyptian woman who asked not to be named, told Xinhua that food prices are rising now, prices of tomato and cucumber, which Egyptians eat everyday, are times higher than 10 days ago. "Why are we continuing the protests while we all know clearly that prices will soar amid the chaos," she said, adding "our aim is to ask government to curb the inflation, not to fuel it."